The first release since Reginald Elton Kenneth Hercules Dwight John turned 50 years of age. Although many have argued it's actually a step down from the last studio release Made in England, it is in no way a disappointment. There's nothing at all unexpected here, simply a collection of great John-Taupin songs. The overall atmosphere is much mellower this time, no evidence of any hard rockers, but he was half a century old. The overall musical feeling seems to be one of contentment. There are no big surprises, yet the comfort zone of the songs still brings out a fine effort. Lyrically, the album does tend to be dark at times--easy to see with titles such as Long Way From Happiness and Love's Got A Lot To Answer For. One of his best, yet underrated, songs appears on this collection, Live Like Horses originally a duet with Luciano Pavorotti. Elton wisely chose to include the solo version here. This is beautifully majestic song in the style of The One that largely went unnoticed by the mainstream audience. Elton was now at a point in his career where many fans flock to his performances for what he's done in the past and not necessarily wanting to hear what's new. That's a shame. Other great tracks are Recover Your Soul and the gospel oriented If The River Can Bend. He does pick up the beat a little with January and Wicked Dreams but for the most part this is a soft album. Unfortunately, the album came out at a strange time. After the album was pressed and ready to be released, the tragic death of Princess Diana occurred. 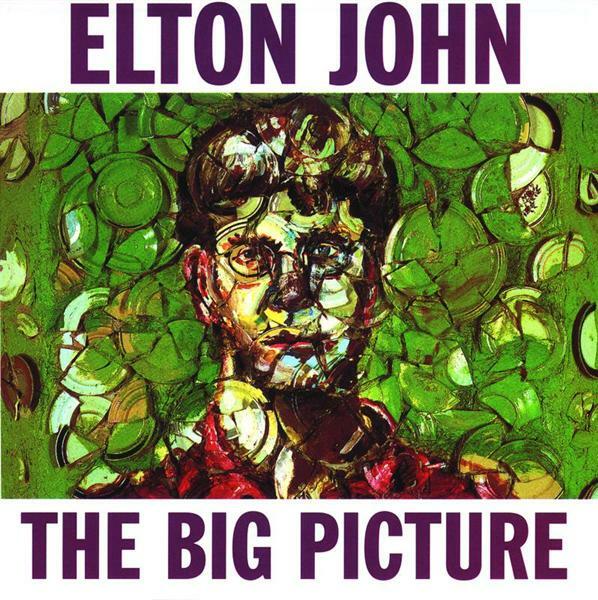 After Candle In The Wind was sang by Elton at her funeral, he rushed in the studio and cut the track with its new lyrics and it became the biggest selling single ever (the song was actually the B-side of Something About the Way You Look Tonight). Sadly, in the midst of all the hoopla, this album was released and lurked in the shadows of all the hype. It deserved better than what it got.